Maryville has chosen Rafter to provide a comprehensive solution for course materials. Going forward, faculty and students will access Rafter via Canvas. 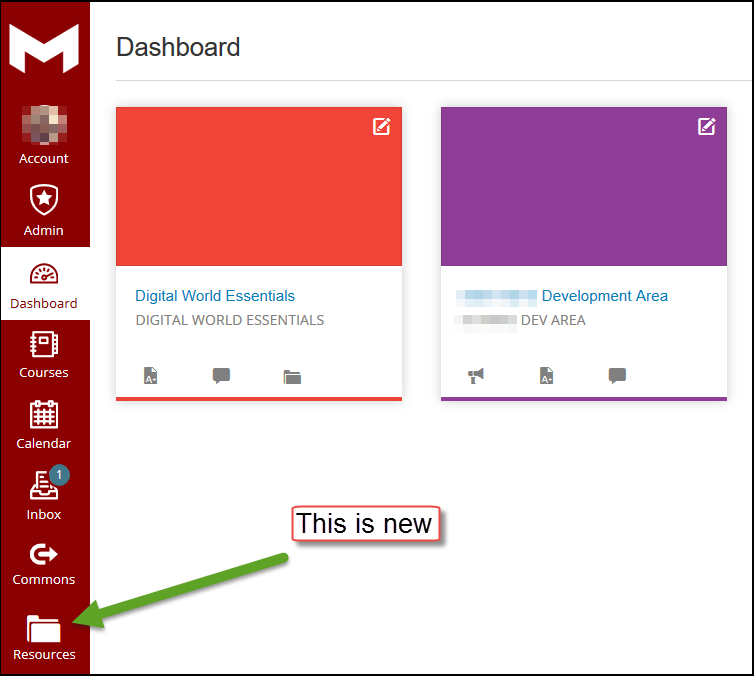 In order to accommodate Rafter, we’ve made a slight change to the global navigation menu in Canvas. We added a new icon to the global navigation menu titled Resources. When Resources is clicked, links to Rafter appear. These links are titled Course Materials, University Library, Writing Studio, Lynda.com, Grammarly, and Lockdown Browser. 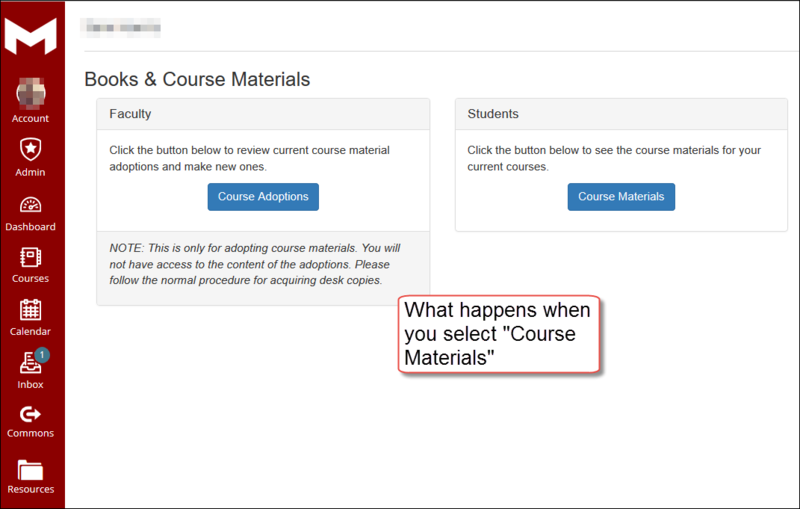 When Course Materials is clicked, the appropriate links should be clicked. Faculty will use Rafter to adopt course materials. Students will use Rafter to access eBooks and update their shipping address for physical books. For questions about Rafter, please contact the Maryville University Bookstore. For questions about Canvas, contact LDT. 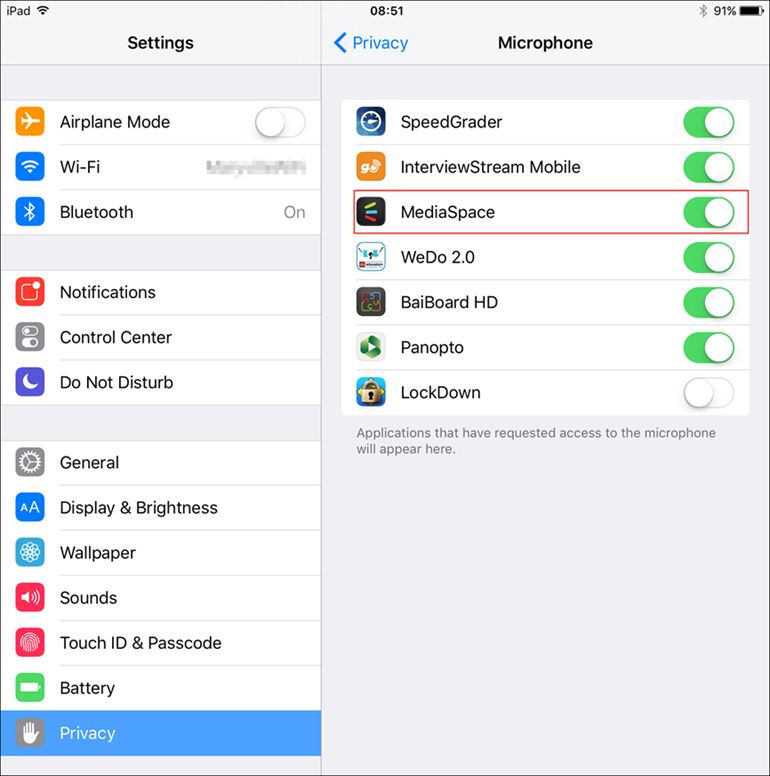 Currently, the Kaltura iPad app MediaSpace will only allow you to record up to a 10 minute video. We are working with our Kaltura rep to have this time limit extended. In the meantime, if you or your students need to record a video that’s longer than 10 minutes using the iPad, the device’s camera app is a good alternative. If the camera app is used, the video can be easily be uploaded into Kaltura. The upload time is typcially a few minutes. Keep in mind these tips to ensure easy recording using the iPad camera app. There is enough storage space on the device to record a large video. This is an especially helpful reminder for those students whose iPads are linked to their iPhones. Make sure the iPad is fully charged before starting the recording process. On July 29, Panopto will require all recorders to be updated to version 5.1 or 5.2. You will be prompted to update your recorder on this date, and will be unable to use Panopto until your version is updated to 5.1 or 5.2. If you are currently using a Maryville-issued computer, please contact the Help Desk to complete the update. If you want to update your recorder before July 29, please visit http://learn.hosted.panopto.com, and sign in using Panopto Canvas Integration. 1. 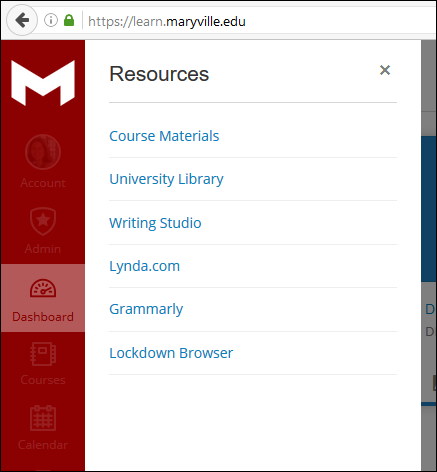 Type your Maryville.edu username and password. 2. 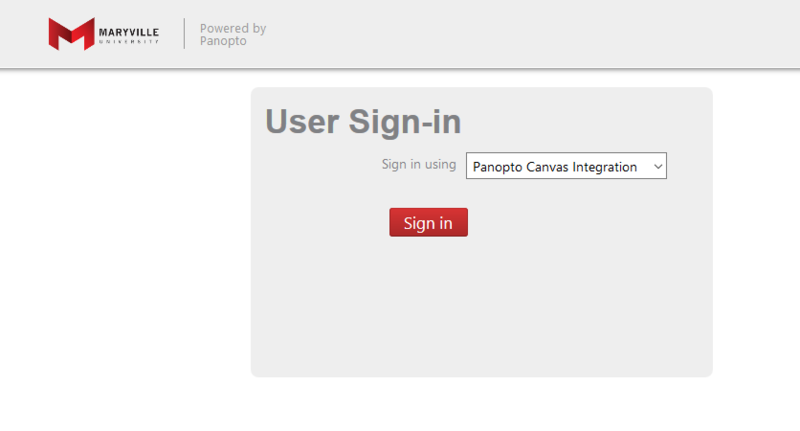 Once logged in, click Download Panopto. 3. Click the appropriate Download Installer. 4. Once the software is downloaded, the installer opens and you can begin the installation process. Even though Panopto is still available, we recommend using our new video platform, Kaltura, for future video recording needs. Please contact LDT with questions. 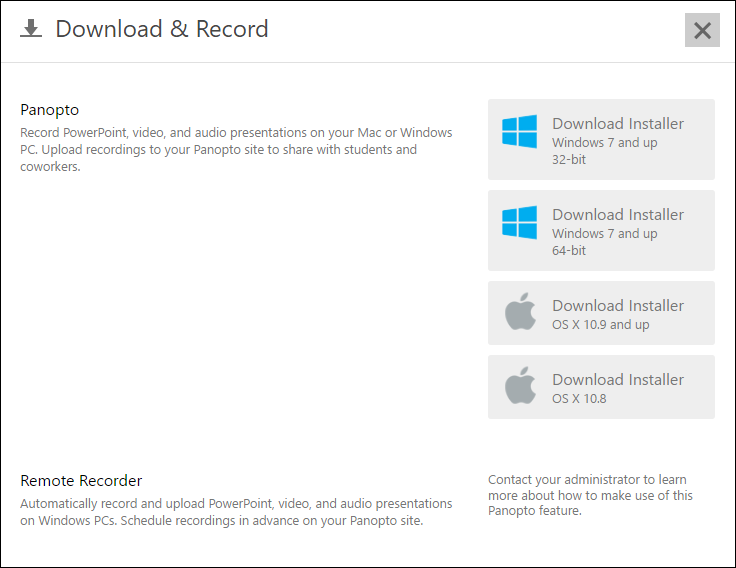 On July 29, 2016, Panopto will require Panopto Desktop Recorders for Windows to be updated to version 5.1 and for Mac to version 4.9.1. The recorders will be updated on July 29 at 7 p.m. (CT). After this date and time, you will be prompted to update your recorder upon log in. To update your recorder, click the button download and install the latest version. For assistance updating the recorder, view one of these resources. The recorders are being updated because Panopto 5.1 includes important bug fixes, which prevent data loss in certain circumstances. Panopto 4.9.1 includes important fixes to support the latest version of Keynote. The Kaltura mobile (iPad) app is available for your use. The app can be found in your App Store by searching for Kaltura MediaSpace. Training videos and the Kaltura Mobile App User Guide can be found on the LDT Supported Technologies page under Kaltura. If you or your students are frequent users of the Panopto app, we recommend switching to Kaltura. Contact us with questions about Kaltura or to schedule a one-on-one training session. Do you frequently use Evernote? Here are some shortcuts to help you quickly perform common actions. Use this shortcut to create a new note. Use this shortcut to quickly find a specific notebook. Use this shortcut to paste content from the Web (or somewhere else) into a new note. Use this shortcut to paste content and keep your formatting style. Use this shortcut to search in Evernote from any program. This shortcut also works if Evernote is minimized. Found any other Evernote shortcuts? Let us know! During a recent professional development activity, faculty members shared different iPad apps they’re using in and out of the classroom. Here is a list of some of the apps discussed and where you can go to find more information about each. Adobe Spark is an app that allows you to create digital designs, or visual stories. BiblioBoard Library is an app that allows you to access digital books, images, articles, documents, audio, and video. Flipboard is an app that acts as a pocket-sized magazine. It allows you to access stories, photos, and videos of interest to you. MathBot is an app that allows you to use a math keyboard to easily create equations. Mendeley is an app that allows you to organize and annotate PDFs. It syncs across all your devices and content is accessible offline. Pocket is an app that allows you to save articles, videos, or links to access later. It syncs across all your devices and content is accessible offline. Slack is an app that allows you to message and share files with individuals or groups. It syncs across all your devices. TeamViewer is an app that allows you to remotely control Windows, Mac, and Linux computers. It also allows you to remotely access unattended computers, such as servers. TouchCast Studio is an app that allows you to present anything, including webpages, files, images, and videos. It also allows you to record presentations to share. Ulysses Mobile is an app that allows you to work on every phase of the writing process, including editing. Writings can be exported into PDFs, webpages, eBooks, and Word documents. It also syncs across all your devices. Wunderlist is an app that allows you to create and share to-do lists and tasks. It syncs across all your devices. Here are some iPad accessories that may interest you. When purchasing accessories, make sure you purchase ones that are compatible with your specific device. Do you have any apps or accessories you currently use that you’d like to share with other faculty members? Email us, and we’ll add your ideas to the list! An update to Respondus LockDown Browser for Windows is available – version 2.0.1.00. This update includes an update to the Chromium engine, a newer version of Flash, and a security update for Canvas. Existing installations of LockDown Browser will NOT be automatically updated at this time. To update your software to the newest version, use the Check for Update feature, or run the full installation program. For more information about what is included in the update, please refer to Respondus’ support website. Please contact LDT with questions or for assistance.